Shipping Cost: PLEASE SELECT 1 Shampoo Unit (+$150.00 ) 2 or More Shampoo Units Call for Freight Quote!!! 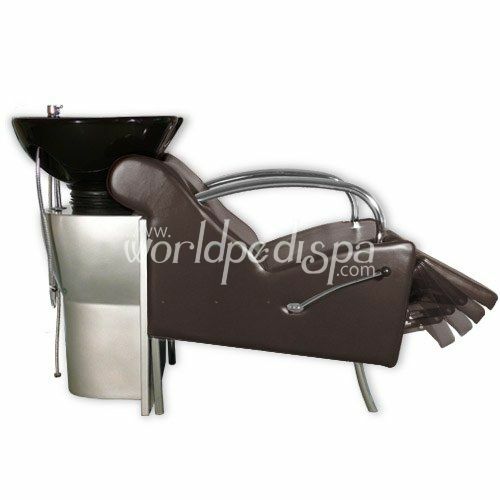 Brown London Shampoo Unit with Black Bowl. Vacuum Breaker sold separately. 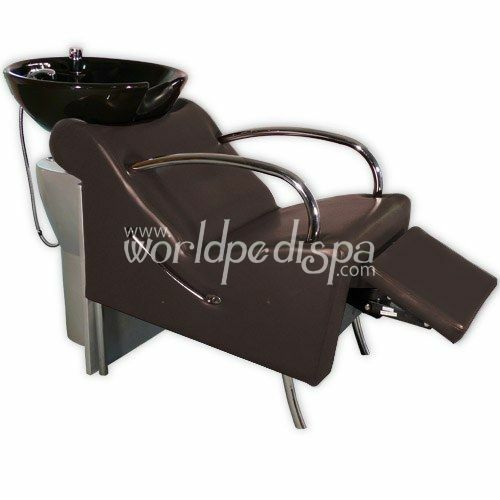 This extremely comfortable shampoo station puts you in more of a reclining position than a traditional shampoo chair. It's more like a piece of furniture, and is an excellent value for its price. 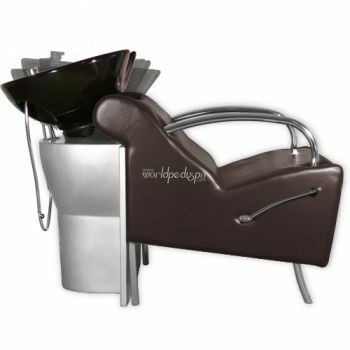 Can be configured as backwash or sidewash unit, adaptable to your salon layout. Includes all fixtures and hoses. : Overall width = 25"
: inner-arm to inner-arm = approx: 20"
: Height from ground to top of bowl = 38"